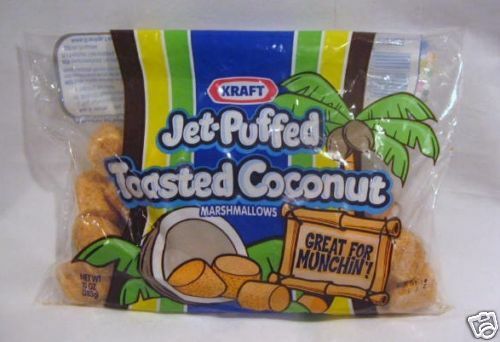 Jet Puffed Toasted Coconut Marshmallows Are Amazing. Last night, I attended a bonfire, and I was informed we were going top make s’mores. The fun part was that there were toasted coconut marshmallows for us to use. I love anything coconut, and have experienced coconut and chocolate, so I figured it would be out of this world. Upon tasting it, I was amazed with how much flavor of the coconut made for the best s’more I ever had. The coconut flavor is more on the outside, as toasted coconut flakes decorate the marshmallow. I even tried it on a Recees cup and it was divine. Try it, folks!!! I can’t speak for everyone when I say that they are delicious! 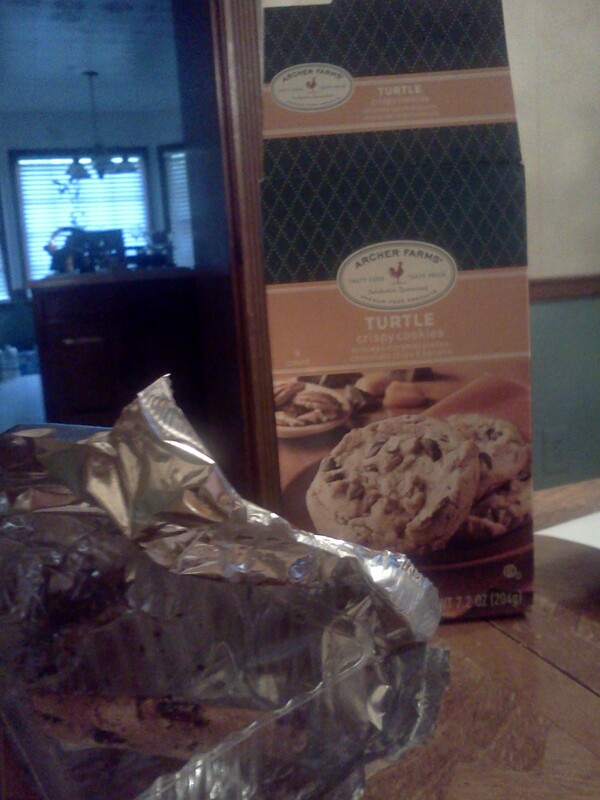 Archer Farms Turtle Cookies-I’m Addicted! I bought these cookies at Target just because they looked yumtastic. Upon chewing into the soft cookie to uncover indulgent dark chocolate chips, pecans and buttery caramel chunks, I found myself yearning for the warmth of this cookie on a daily basis. Last time I checked, they were on sale for $2.15.